I am a long time blog reader and follower of all the usual suspects and even though there are numerous highly talented people in design.style.decor space there should be room for one more. We are a family of five with sixth on the way scheduled to arrive this August. While life for us is pretty hectic with two time-demanding full time jobs (up until recently as I am no longer working), house renovations, travels, and kids extra curriculum activities, we like to take time for creative aspirations, inspiring designs, beautiful furnishings (even when budget does not allow for it), and creating our unique style. 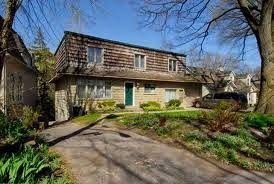 Prior to purchasing our "cottage in the city", 1957 two-story character house with flat roof, 62x160 ft lot across from river, we have lived in a typical townhouse in not so inspiring neighborhood. We made some improvements to our new builder style townhome but craved a blank slate called really old cheap house we can renovate and call our own. But what the house lacked on the exterior (and interior! 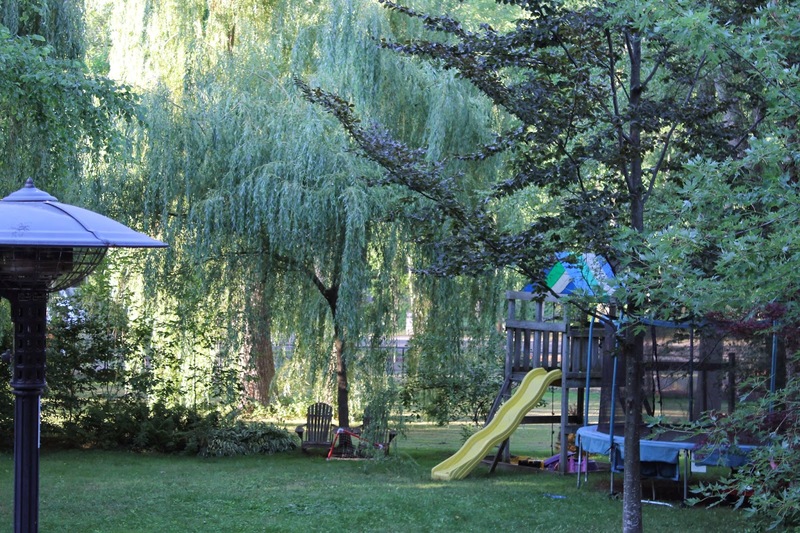 ), it made up in the backyard as we immediately fell in love with our new suburban oasis.